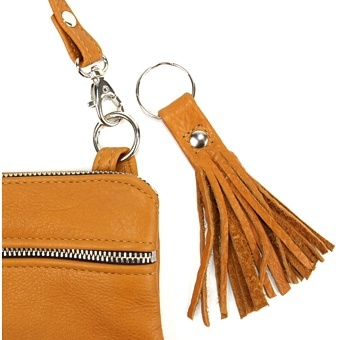 Drop Length: 9" What is drop length? By customer request we have created the Amanda. It is a version of our 7" zippered pouch with a short strap that can be worn on the arm or switched to a wrist strap. 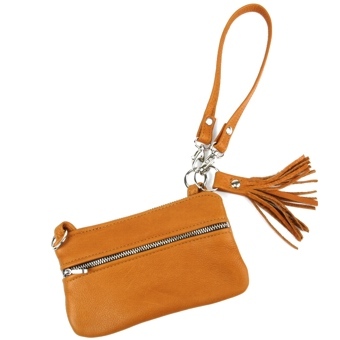 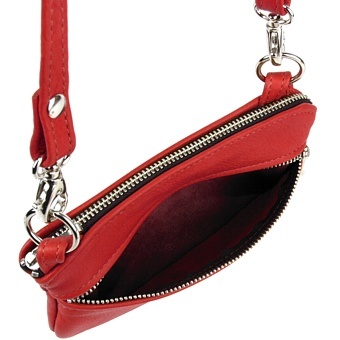 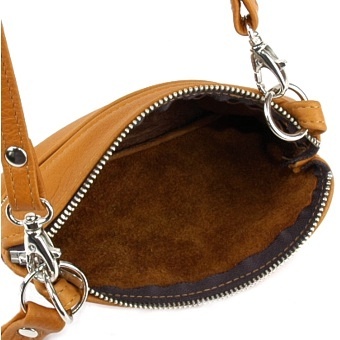 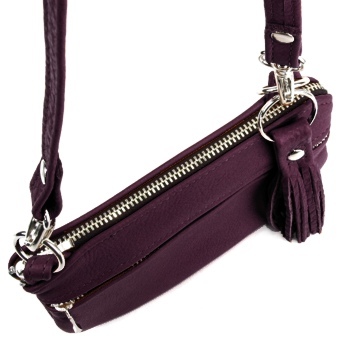 The strap can also be detached to be used as a wallet or catch-all pouch in a larger handbag. 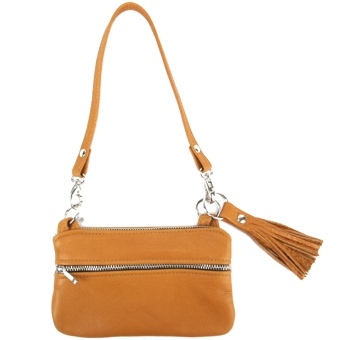 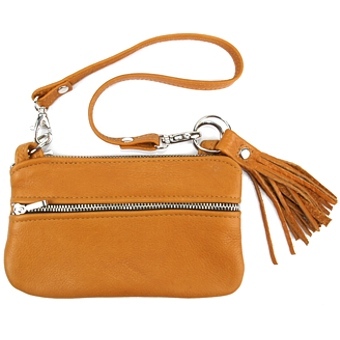 The Amanda features a main zippered pocket, a side zippered pocket 2 1/2" deep, and a clip on key ring tassel.